Australia-wide, 195 people went to work last year and didn’t come home to their loved ones. That’s 195 people who died as a result of accidents at work in 2015. This year, that statistic is already 184, with several more not expected to make it home for Christmas. 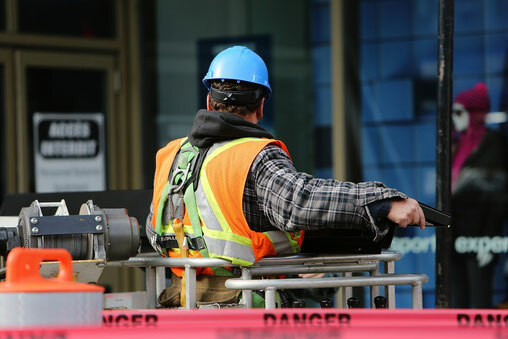 Add to this the hundreds of non-fatal injuries and illnesses, and it is estimated that work-related health problems cost the Australian economy in excess of $60 billion each year. These are alarming numbers but statistically a huge improvement on previous decades. Part of the reason for this improvement is the introduction of Workplace Health and Safety (WHS) legislation, safe work place practices and WHS personnel. These personnel plan, manage, implement and report on safety measures in the work place as well as develop means for identifying risks and continuous improvement. Nationally-recognised qualifications such as a Certificate IV in Work Health and Safety help ensure the standard of qualifications for personnel are at a universally high standard. This qualification is suitable for people working in a work health and safety role who may or may not work under supervision. They may provide leadership and guidance to others and have some limited responsibility for the output of others. From here, you may choose to continue your education with a Diploma of Work Health and Safety. This qualification is suitable for people who coordinate and maintain the Work Health and Safety (WHS) program in an organisation or are looking to take on a role that does so. These qualifications are great for those who really want to make a difference in the place they work. Who knows, you may even save lives! For more information on how one of our Work Health and Safety courses can give your career a lift, contact us.